Ben and the rest of the team returned safe and sound last week from Japan filled with humbling new experiences. He, along with the rest of the team will be sharing their experiences with the other Dojos in the following weeks. 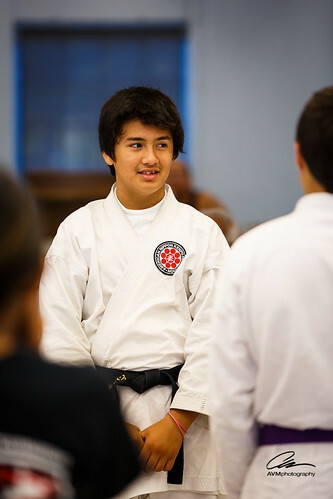 In this photo he is sharing what he learned with the rest of the students at the Montebello Dojo. Oh… and he also won both his matches. Woohoo!! !